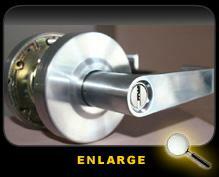 Locksmith Northridge, California has been serving the area for over 15 years. One of our main goals is to give all our customers affordable, high quality professional locksmith services. Locksmith Northridge knows exactly how to give our customers the best experience and to get the job done right the first time. Our skilled professionals use only the finest tools, equipment and materials to provide auto, home, residential & commercial locks & locksmiths. Locksmith Northridge ALWAYS provides personalized service and affordable rates. Our expert staff, unmatched selection and reasonable prices have helped Anat Lock & Key earn our reputation for convenience, quality and value. www.LocksmithOfLosAngeles.com provides an overview of our products and services. If you have any questions or comments, or would like to schedule an estimate, please contact Locksmith Northridge at 818-821-3110. We are open 24 hours a day. Thanks you and we look forward to hearing from you. We have 15 plus years of 24 hour emergency locksmithNorthridge service for local residential lockout, commercial master keying and auto lockouts: SFV, Arleta, Calabasas, Canoga Park, Chatsworth, Encino, Granada Hills, Moorpark, Newbury Park, North Hills, North Hollywood, Northridge, Pacoima, Porter Ranch, Reseda, Simi Valley, Sherman Oaks, Studio City, Los Angeles, Thousand Oaks, Van Nuys, West Hills, Westlake Village, Winnetka and Woodland Hills. For more locations please see Locksmith Locations. FAMILY OWNED & OPERATED for over 15 years – Mention This add and get 10% off all Rekeys. Northridge Locksmith provides personalized service and affordable rates. Our expert Northridge Locksmiths unmatched service, selection and low prices have helped Locksmith In Northridge earn our reputation for convenience, quality and value. Locksmith in Northridge provides a full overview of our products and services. If you have any questions or comments, or would like to schedule an estimate, please contact us at 818-821-3110. Our Office is Located at 11107 Burbank Blvd, North Hollywood CA. But we are fully mobile to service any area in Los Angeles.